Ask any of my friends and they'll tell you, I'm deadly afraid of going anywhere alone, I'm rarely seen alone. I love interacting with people, especially at an exhibition, whether, it is to discuss a piece or take photos! Therefore, the next thing I'm going to say is perhaps the biggest compliment, gesture I could pay to anyone/anything. 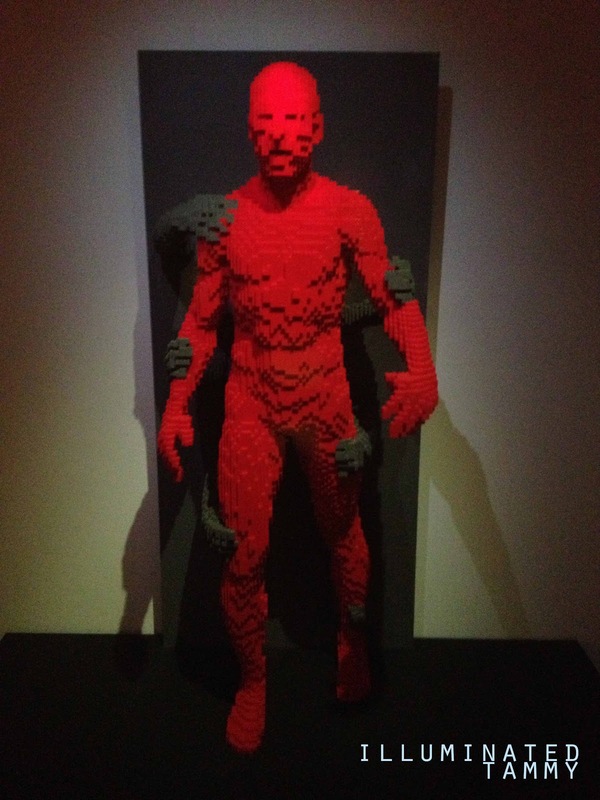 I went to [The Art of the Brick] exhibition ALONE because I couldn't wait another day to see it with someone. 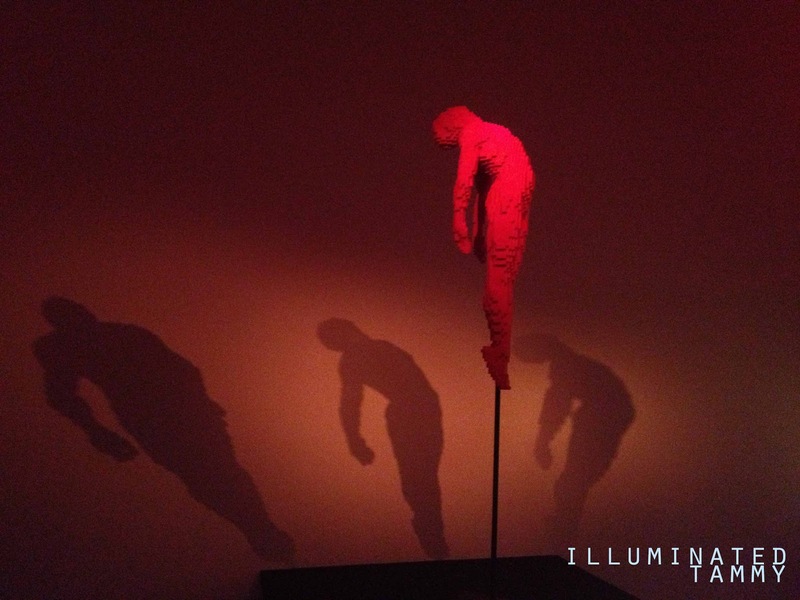 On a personal level-> I concurred visiting an exhibition alone! score! check that off my bucket list! I know... small accomplishment for the world but one giant step for Tammy! It helped that I have such a weakness for LEGOs haha, will always remember carrying my pink lego set around. Okay, enough about me, lets get back to the real deal! 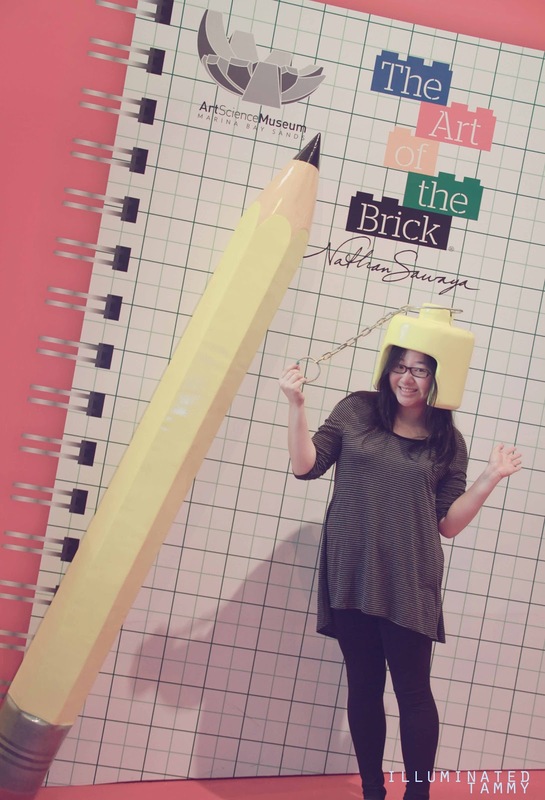 "I carry a little sketchpad with me, wherever I go. I'm forever jotting down ideas. Many of my works center on the phenomena of how everyday life, people and raw emotion are intertwined. I am inspired by my own experiences, the journeys I take and the people I meet." 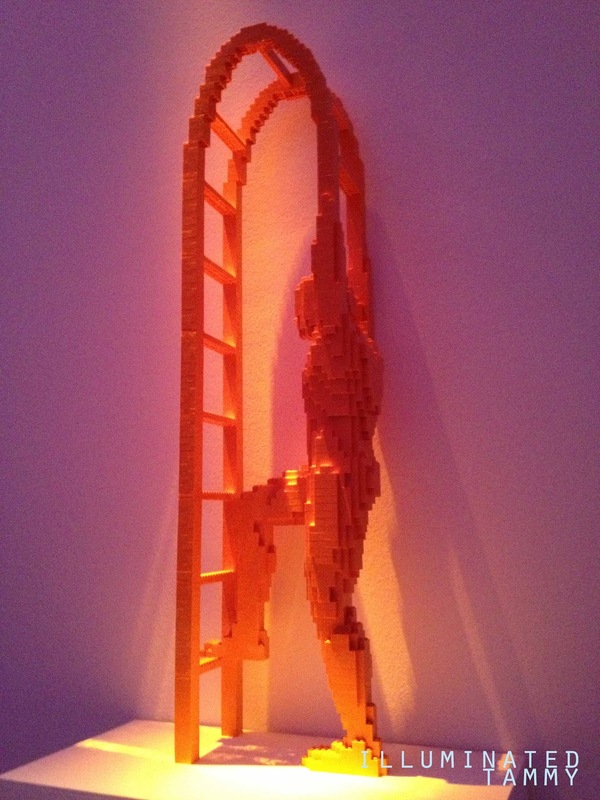 The exhibit : The Art of the Brick features work by the talented, New York-based artist Nathan Sawaya. 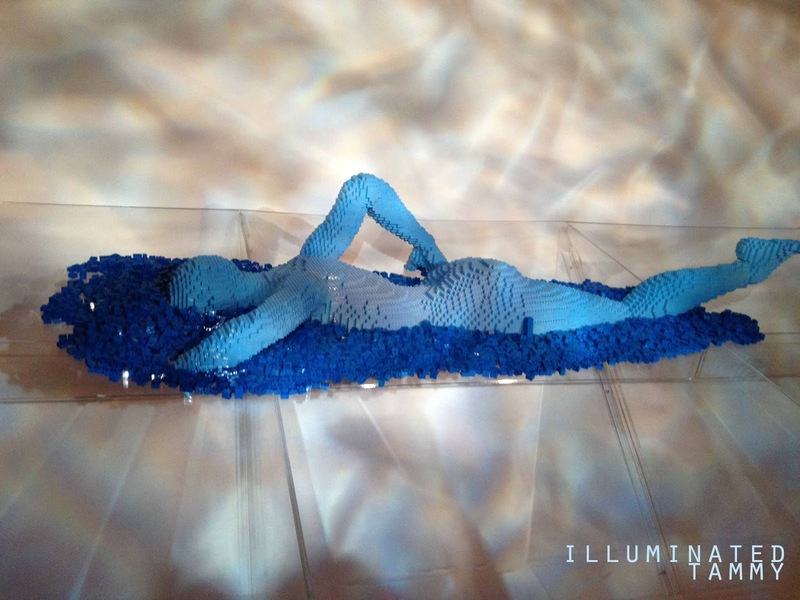 This is LEGO like you've never seen before! Nathan received his first LEGO set from his grandparents when he was 5 years old, and the two have been basically inseparable ever since, "spending his childhood days with his head buried in a box of LEGO bricks." 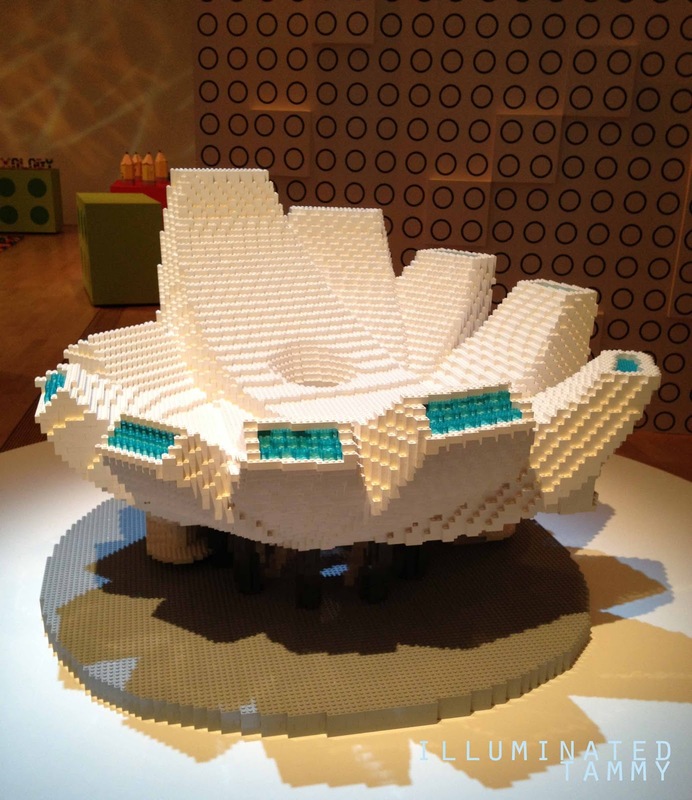 Nathan worked as an attorney and after his long hours at work, he would build LEGO sculptures! When his website featuring his creations crashed one day from the flooding numbers of view, he realized that "he could make a living doing what he loves best. It was then that Nathan began his journey as an artist-- a journey of self-discovery, of imagination, of passion. and of fun." Of course, I won't be posting an image of every single sculpture because I think it is definitely an exhibition worth catching and this post would be far too long with every single picture, so for the lack of a better word, here's a preview and my thoughts on some of my favorite sculptures! Seriously though guys, no amount of pictures could do this exhibition justice. Being there and actually experiencing the atmosphere of the work is one that cannot be replicated through pictures and words. Let's begin, I'll break this exhibition down by the different sections, areas, chronologically, to create the walk through that you would experience at the actual exhibition. I'll pick my favorite pieces from each part of the exhibition to give you a sense of the area. [Yellow] is probably Nathan's best-known piece! For this piece, you'll notice that we can only see above the clear box the piece is placed on top of. I think this piece was such a strong and interesting way to interact with the audience as it allows for the viewer's imagination to fill up the negative spaces. major love! I absolutely loved this piece! The attention to detail in this set up was just exquisite! 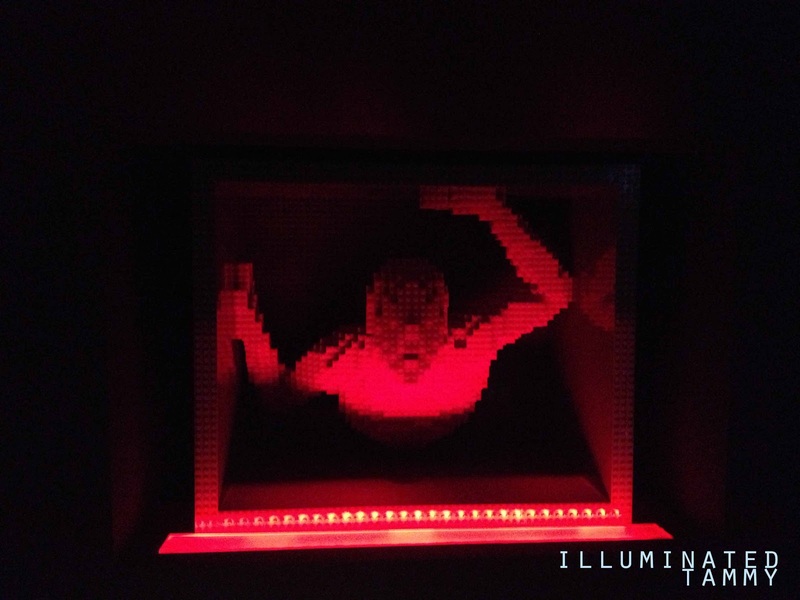 The painting you see, is actually created out of LEGOs! Isn't it an interesting twist on a supposedly "3D" object but it has found a way to re-introduce itself through a 2D representation. If you notice, the art table with the paint palette, paint bottle and the drawer desk with the basket of fruits the LEGO painting is based on; is in a grey scale representation and are also all created out of LEGOs! 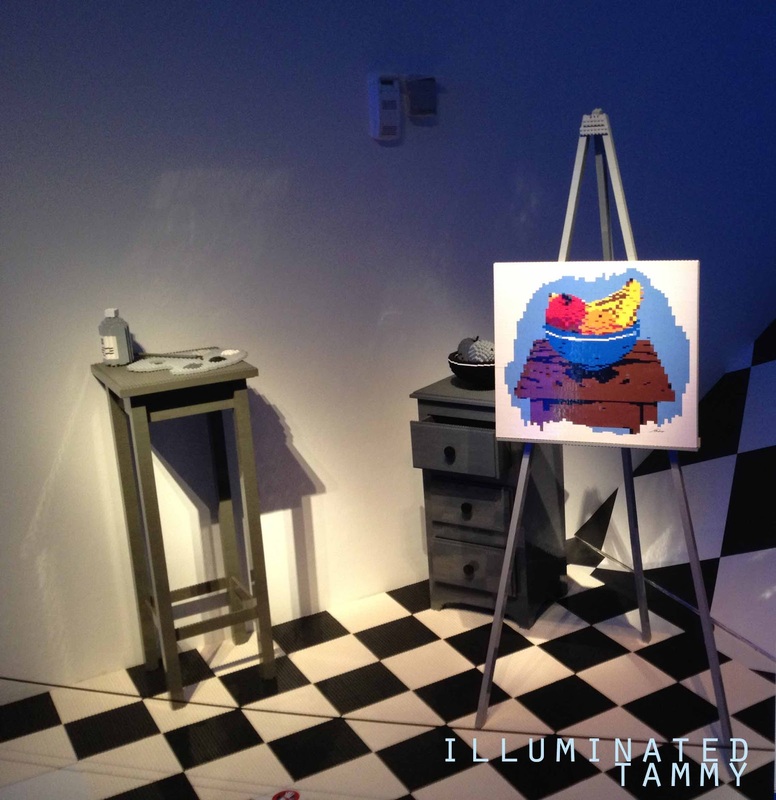 but this time represented in a 3D form as opposed to the foreground colored painting of the still-life 2D LEGO fruit basket painting. Now you're probably thinking, why is the background in grey-scale? 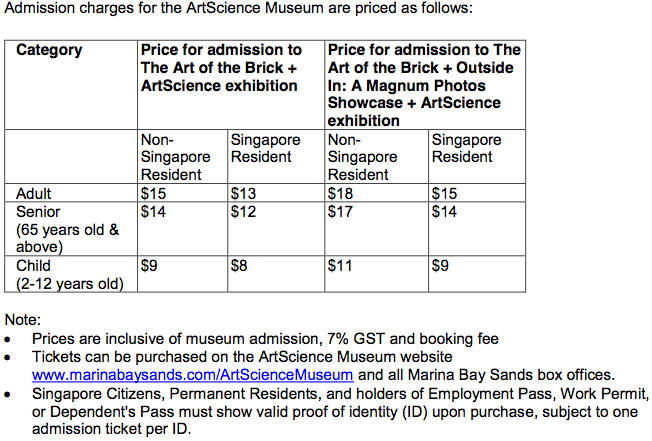 Check out the sculptures' description. "Where does the real world end and the artist's world begin? Sometimes when I'm working. It can feel like the truth lies in the work and my surroundings fade away to grey." " Currently, my favorite subject is the human form. A lot of my work suggests a figure in transition. It represents the metamorphosis I am experiencing in my own life. My pieces grow out of my fears and accomplishments, as a lawyer and an artist, as a boy and as a man." 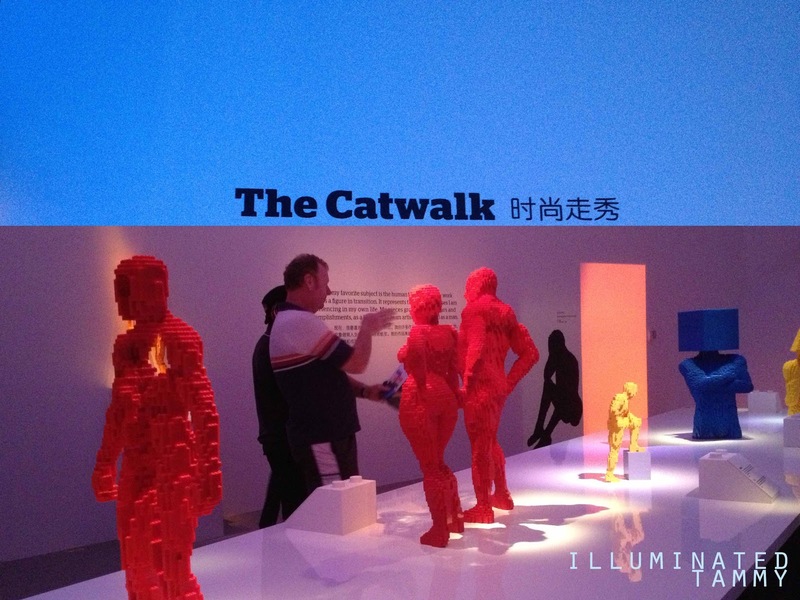 As you enter the catwalk section of the exhibition, you're greeted with a runway set up in the middle of the big space, with LEGO sculptures cleverly placed facing different areas of the room, just like you would, in a runway set up as the models would stop and pose. 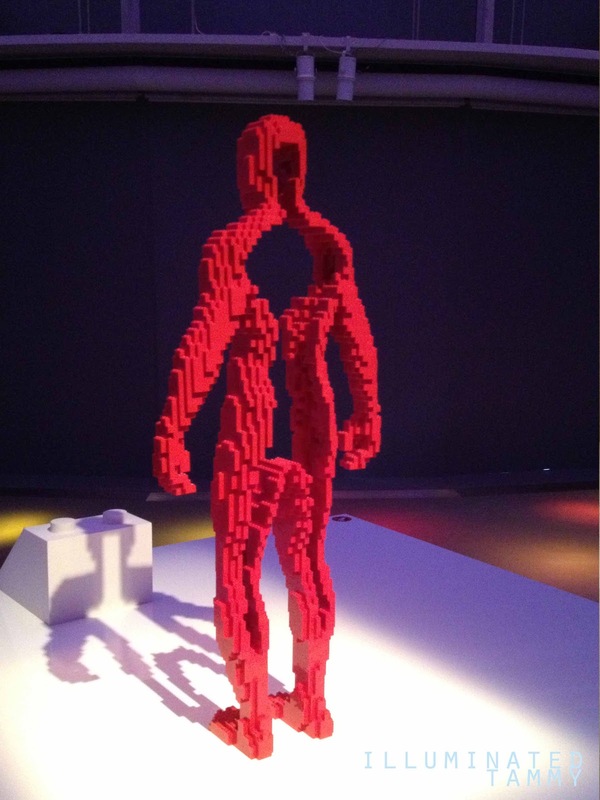 If I had to describe the catwalk section, I would probably say it was an area that featured LEGO scuptures that celebrated the human form, embracing the differences and moving more into a more personal side with the exterior human form and the interior how the human mind works. Inside is basically an outline of the human form but definitely not just your typical "flat outline." If you look closely, there is much definition in curves to give a more realistic representation of what you would call the "shell" of the human body. 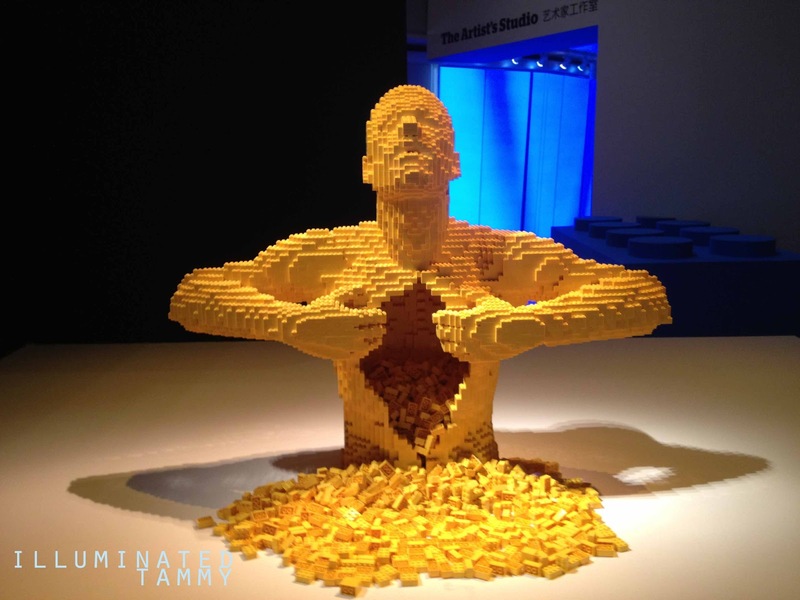 The LEGO outline of the human form with the inside left empty expresses that we are born into these shells and it is one of joys of life that we're able to fill it up with anything we want. These three sculptures were also presented on the catwalk, I thought the message behind the pieces were great, to celebrate the differences, that everyone comes in different colors, shapes and sizes. 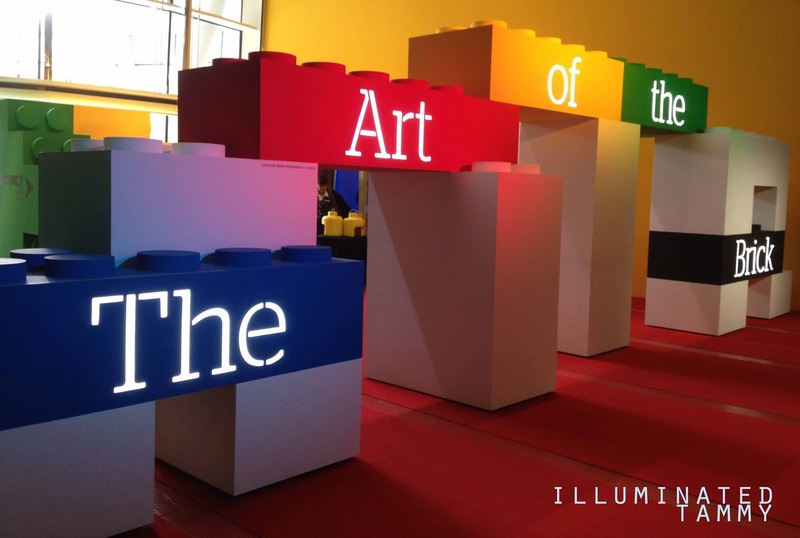 Yellow, red, blue are the three primary colors and a triangle, circle and square are basically the "fundamental building blocks of all things." 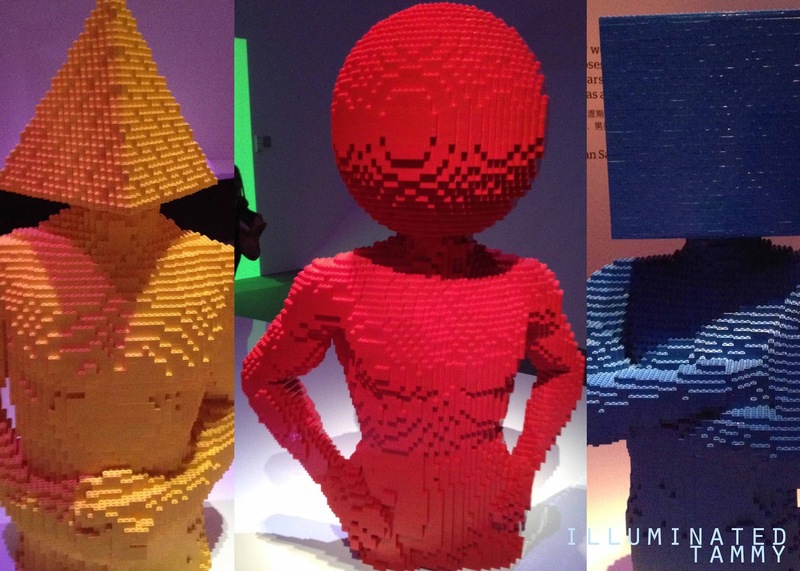 It was interesting to see the differences in the human form represented through shapes and colors. Sometimes when you're looking for a step up, you don't have to look any further than yourself. We're all capable of more than we think. 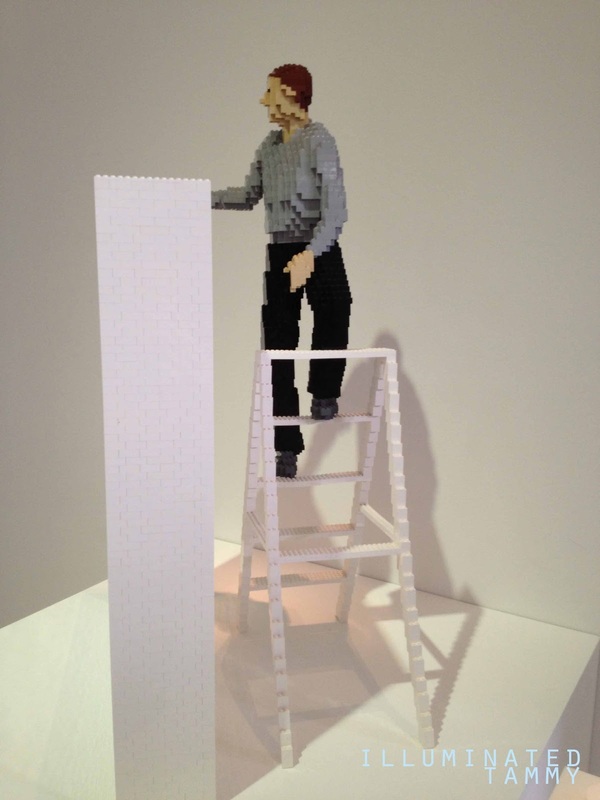 "There's something delightful and thrilling about using something that is supposed to be a three-dimensional medium (LEGO bricks) as a two-dimensional (like a painting). Particularly when it's a portrait. 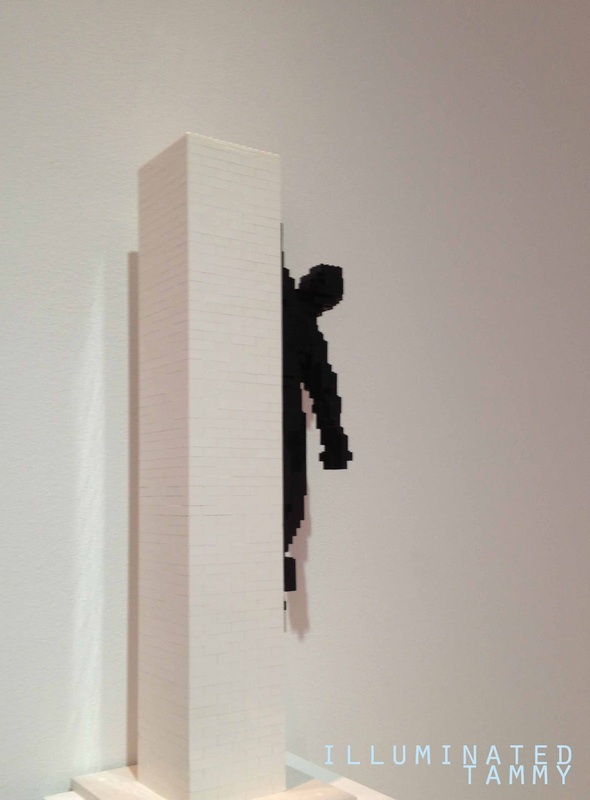 At some point, you stop seeing the LEGO bricks and begin to see only the person." How cool is this! using LEGOs in a flat 2D medium to create a "painting." 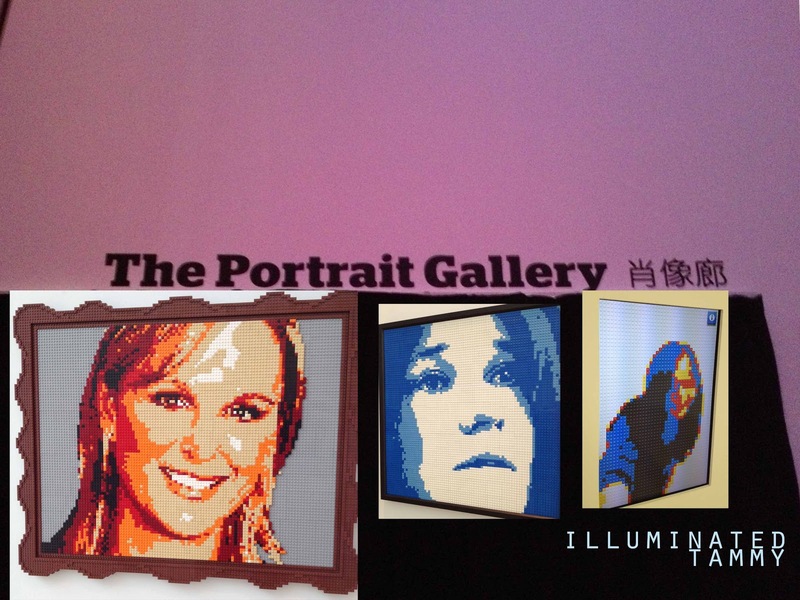 The vibrant portrait art pieces reminded me of pop art! I loved how there were minimal colors used in this portrait, and the color distribution in the piece just gives you a hint of the stencil outline! "Obstacles. You can let them stand in your way. Or you can overcome them and leave them in your rear-view mirror." "Haven't we all been here, hanging on by a finger I know I have and though it might at first seem impossible, we usually manage to pull ourselves back up. " 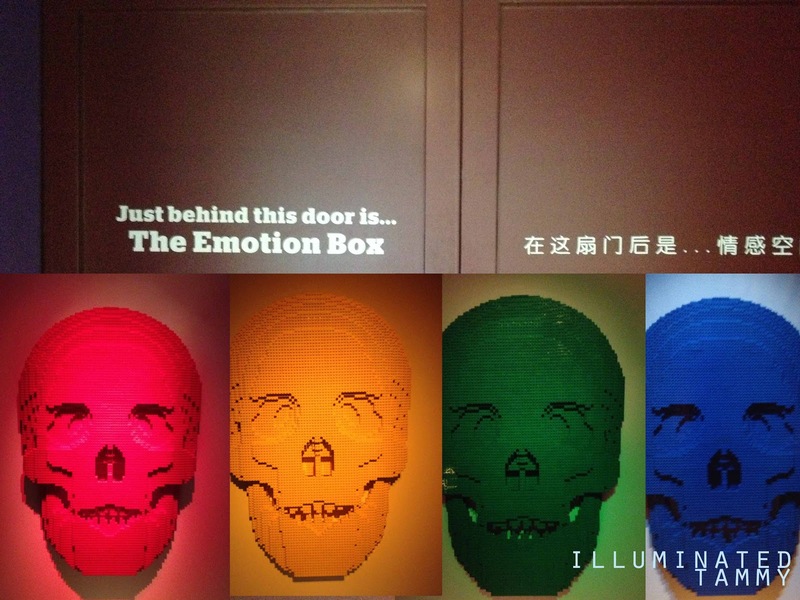 and.. indeed, this was quite an emotion series of sculptures, too many of them hit close to home. "Maybe you've felt like this before, or maybe you know someone that feels like this now. There's always a way out, we just sometimes need a little help to find the way. " This sculpture was beautiful! Just the notion of ascending, and floating was breathtaking. Take that leap of faith! This sculpture had basically represented all that I've been through for the first quarter of 2012. I felt trapped like (two-thirds), I was pulled in every direction and was told I couldn't achieve what I wanted to. My passion and soul were literally disintegrating by words and hands that held me back. 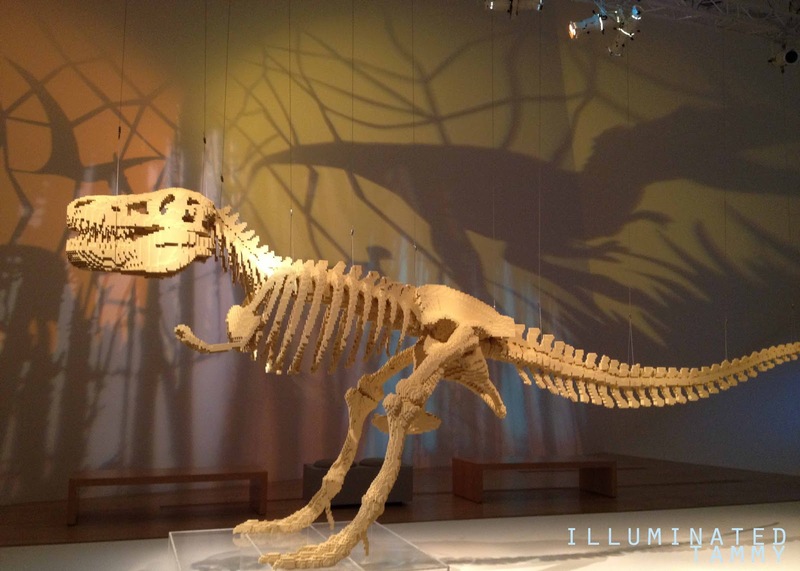 The Dinosaur Skeleton sculpture was presented in a large space on its own with projected shadows of dinosaurs. The attention to the intricate details of each bone of the dinosaur sculpture was breathtaking, from a distance it actually looked like the real thing! haha! look!!!! It's a little piece of Singapore! what an honor to have Nathan create a replica of it! As an artist, I felt that the vision and story behind Swimmer really aligned with my design philosophy. The description was just so incredibly beautiful, and I think there is something absolutely breathtaking to reflect upon, how powerful our imagination is. 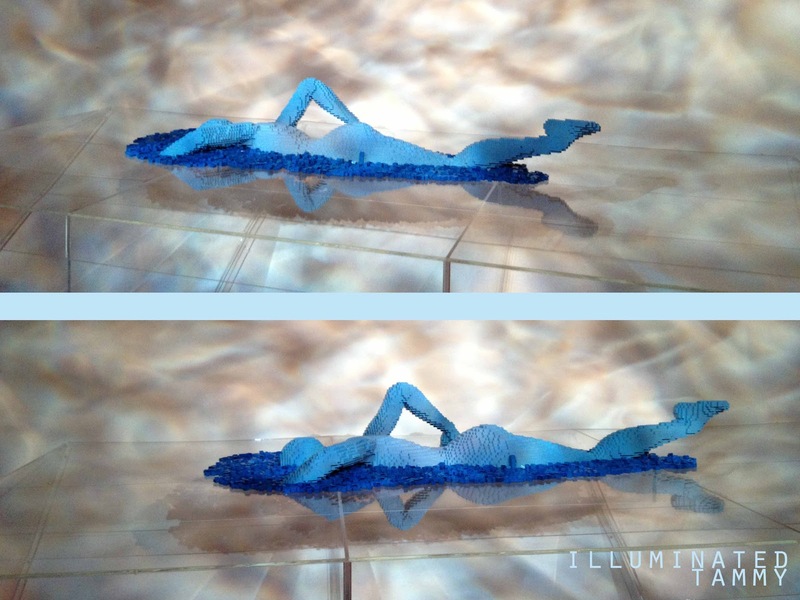 'Swimmer' plays on the concept of allowing one's imagination to fill up perhaps what certain people consider an "unfinished" sculpture. Going through my personal design process, I often find myself beginning with generic shapes, outlines of positive spaces and slowly allowing my imagination to unravel and fill in the negative spaces.Your imagination is such a powerful tool that cannot be replicated or replaced by another, it is unique to you. so tell me, which piece(s) from the above is your absolute favorite? which ones did you find the most inspiring and relatable to your own personal journey ? There is a brick game for android(Amusing Bricks). You can try to build your own works for free. You can also see othre's works in the official website.